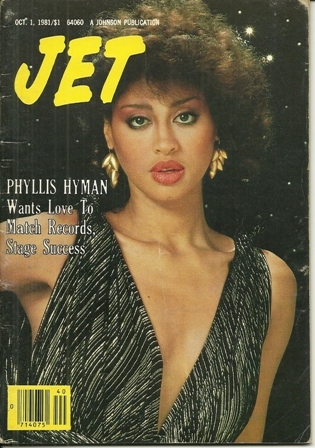 Sometimes I think this world didn’t do right by Phyllis Hyman. So beautiful. So sad. When you gauge the best among songstresses (of ANY genre) in the late 20th century, Miss Hyman must be in that Top Ten. Thanks for reminding is, & for gracing us w/ her beauty again, Val. I agree, Lin. Phyllis did not get her due. She was an amazing songstress. I think Clive Davis is largely responsible for how her career went. He didn’t promote her the way he should have and then he just dumped her from his label Arista. She is definitely top ten, probably top 5. I agree. Davis wanted a puppet and Phyllis wasn’t having it. He didn’t promote her as he should have. Yeah, once Angela Bofil and later Whitney Houston signed to Arista he just left Phyllis out there blowing in the wind. He wouldn’t even release an album by Phyllis at that point which was why she left the label. She was one helluva beautiful and talented lady!!! This was so tragic. She was so beautiful and talented. But from what I’ve read she had many demon that she struggled with. I just feel that she died so young. And is such an underrated artist. She is one of my favorite female vocal artist. I just love ”Living All Alone”. It was so a tragedy to loose her. But I think her illness got the better of her. I read her biography and she had a real rough time with her mental illness. Eventually it became just too much for her it seems. Such a great loss. Living All Alone is one of my favorites too, Mary. It’s a haunting song. Yeah, Clive Davis seems to have the general public fooled. He’s an evil man.